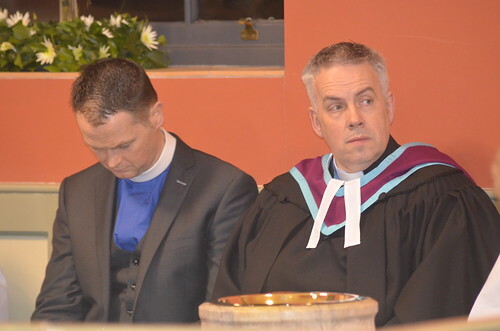 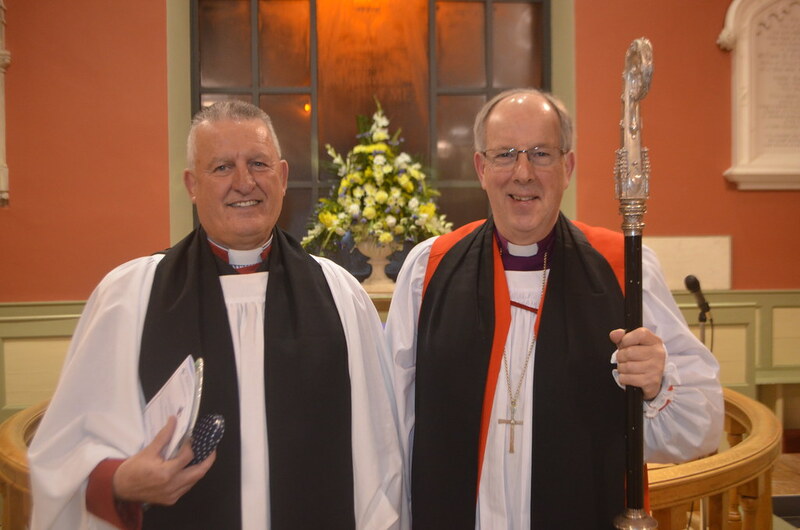 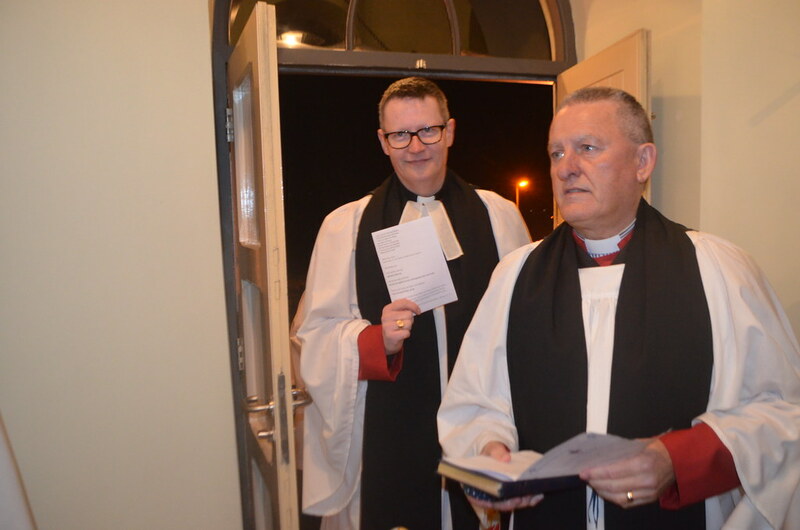 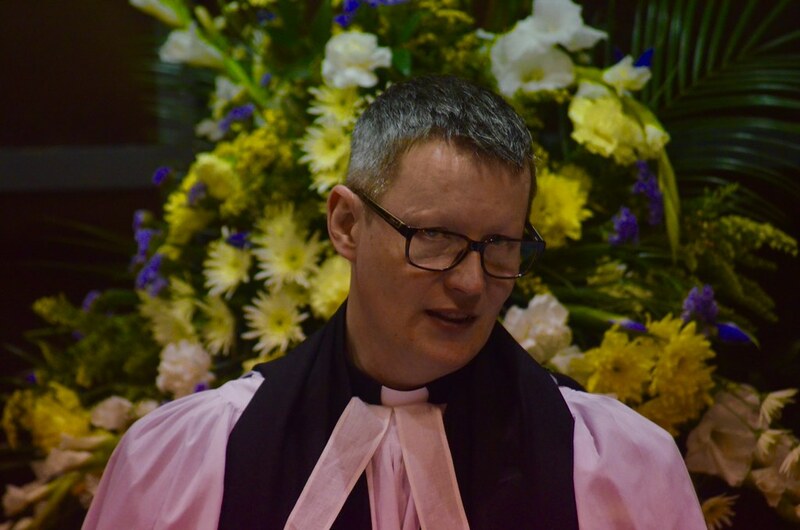 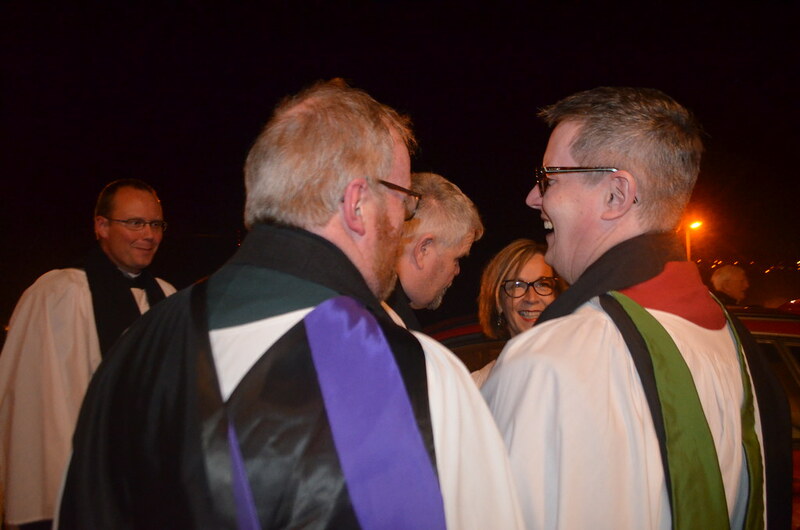 The new Rector of Leckpatrick and Dunnalong, Rev Canon Paul Whittaker, got more than he bargained for when – minutes after his Service of Institution, in St Patrick’s Church, in Ballymagorry – he learned that he had been appointed Rural Dean for Derry. 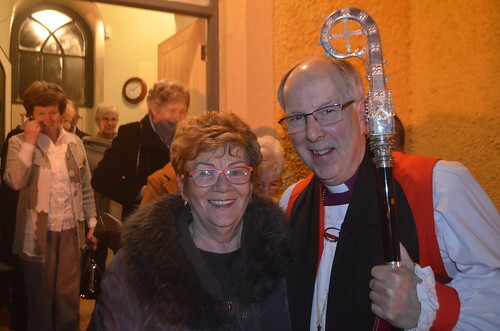 The Bishop of Derry and Raphoe joked that it was probably one of the most rapid promotions in the history of the Church of Ireland. 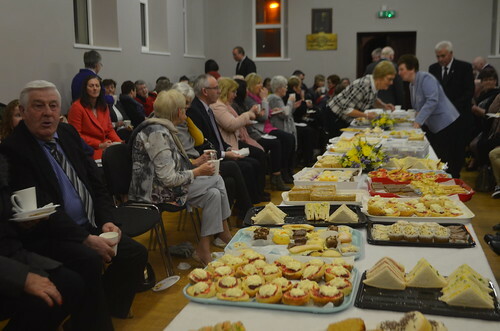 Guests had travelled from as far away as Comber for Friday evening’s institution. 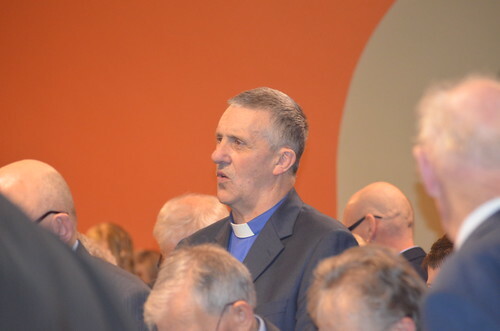 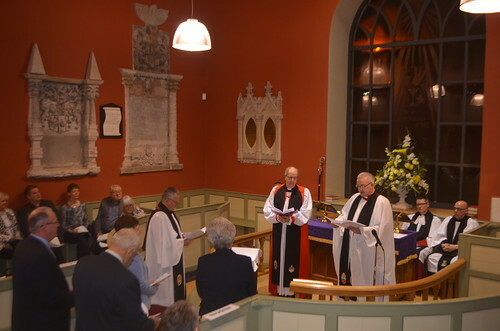 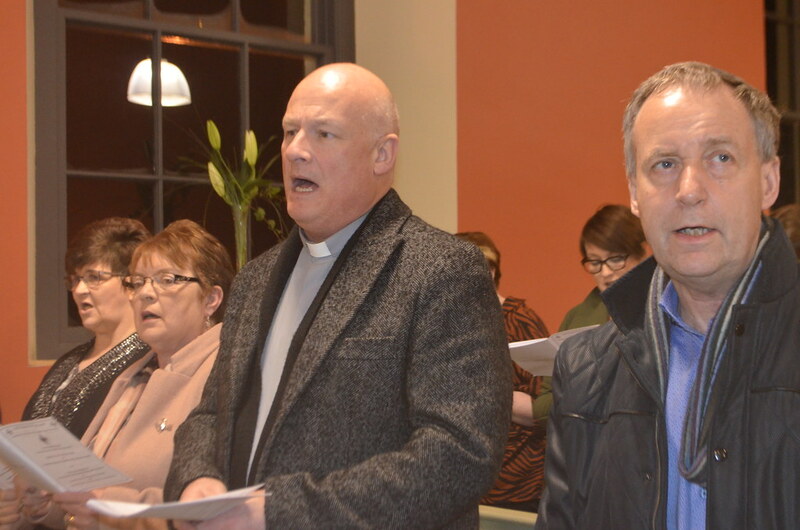 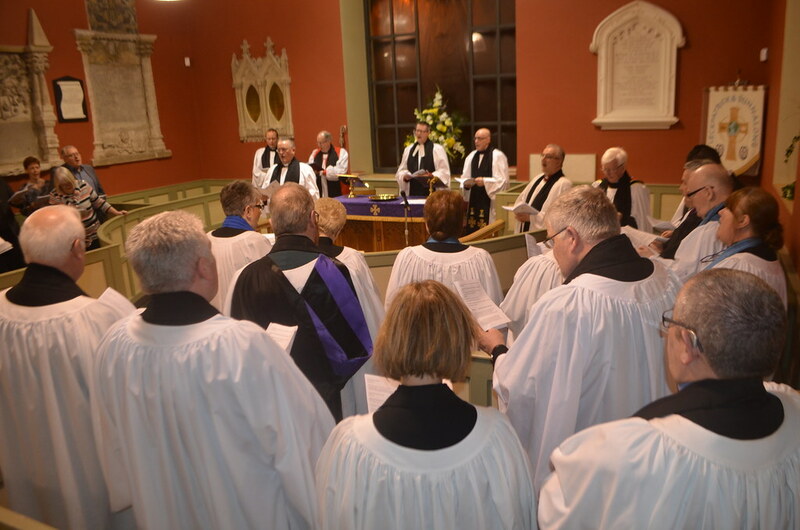 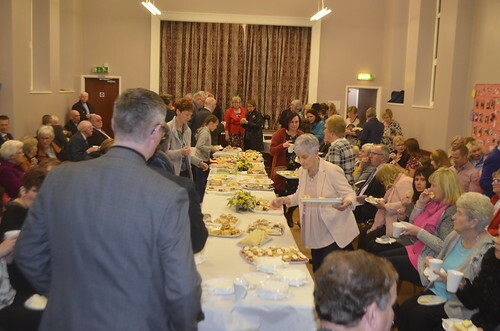 Among the congregation were members of Canon Whittaker’s previous parishes, Errigal and Desertoghill (Garvagh), fellow clergy and parish readers from elsewhere in the Dioceses of Derry and Raphoe, members of neighbouring Church of Ireland parishes in Tyrone, and representatives of the Presbyterian, Methodist and Roman Catholic Churches. 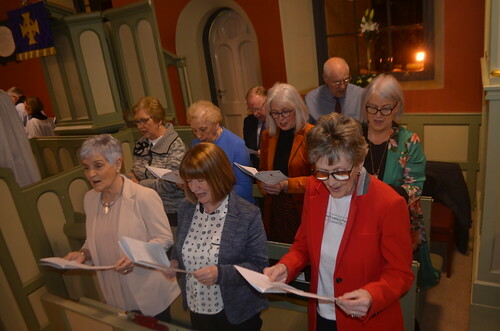 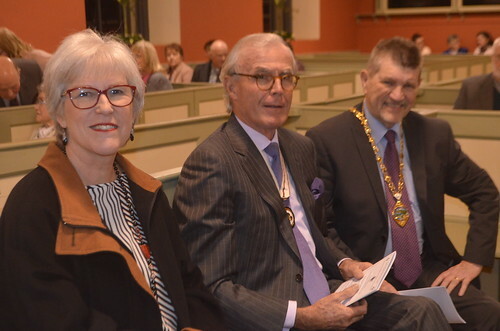 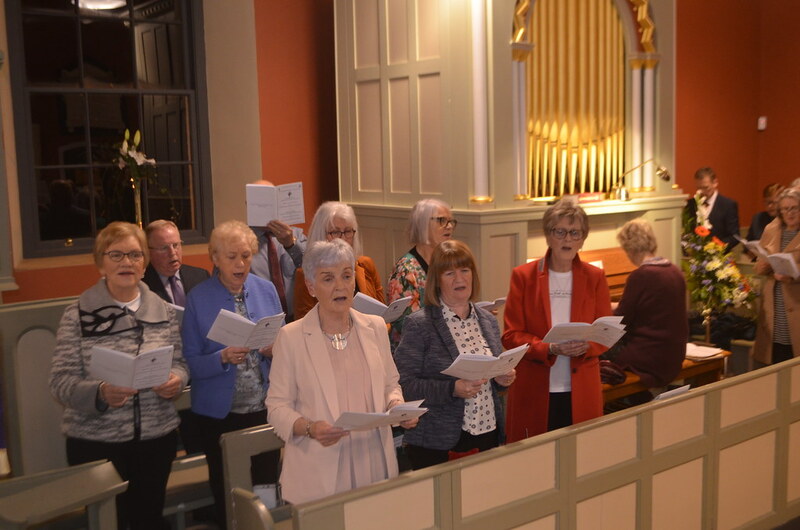 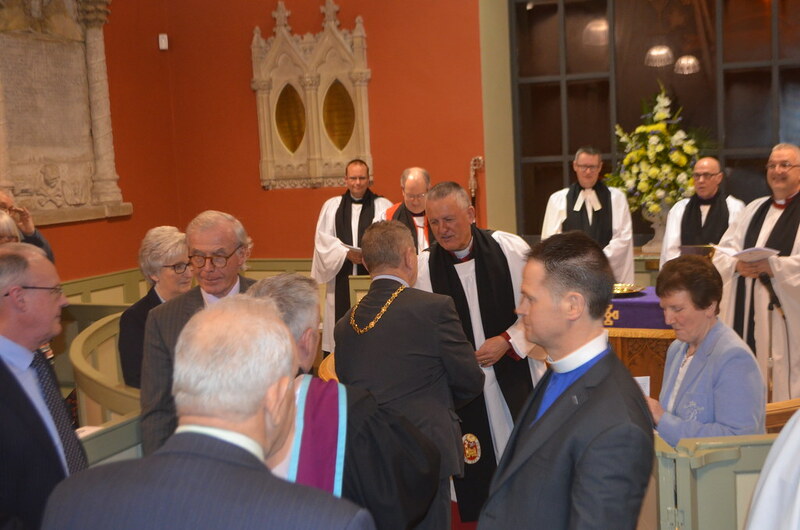 Dignitaries included the Deputy Mayor of Derry City and Strabane Council, Alderman Derek Hussey; County Tyrone Deputy Lieutenant, Sydney Gamble; and the Diocesan President of Mothers’ Union, Jacqui Armstrong. 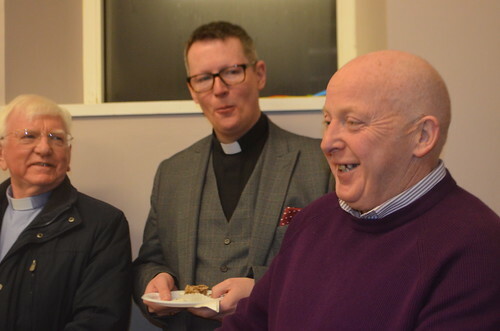 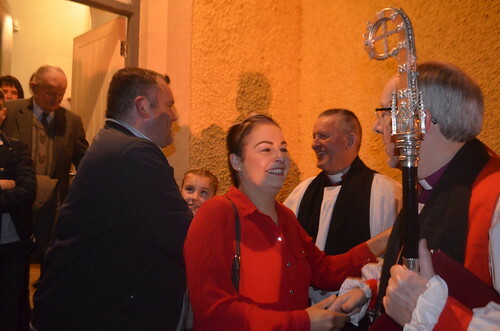 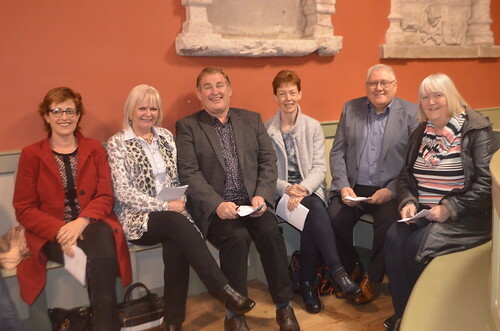 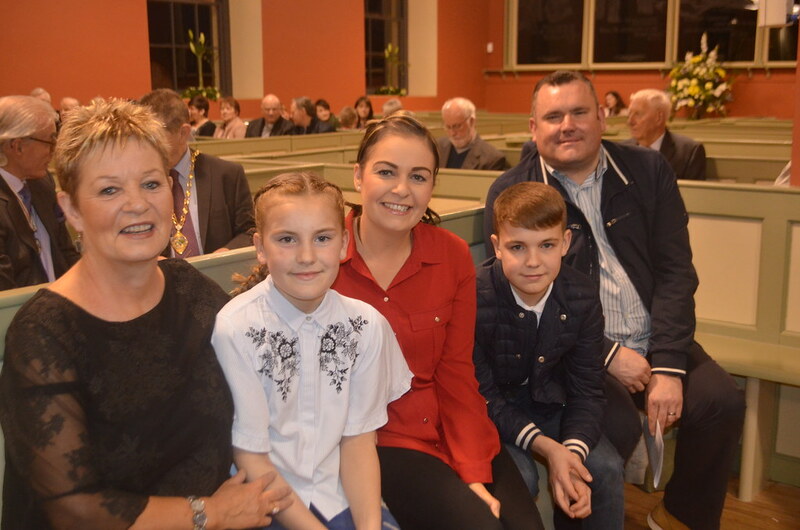 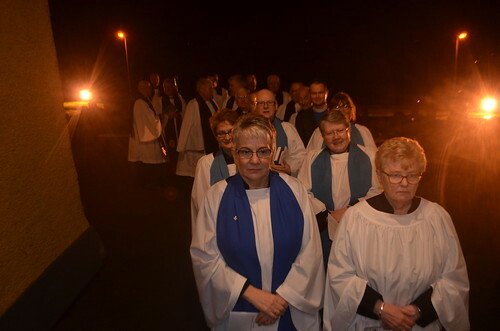 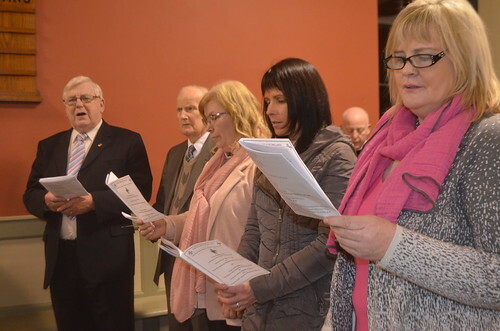 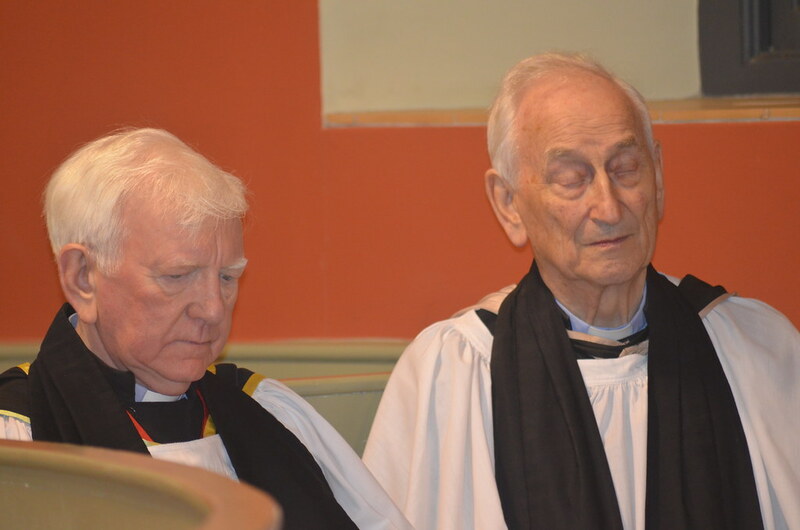 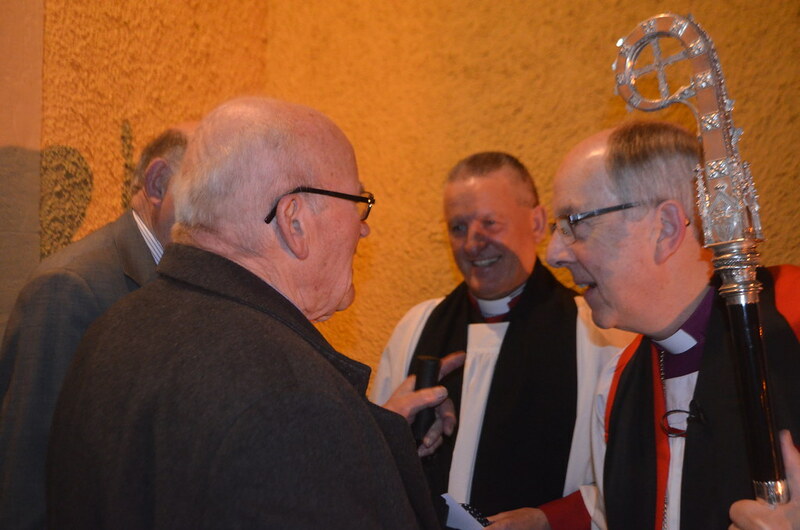 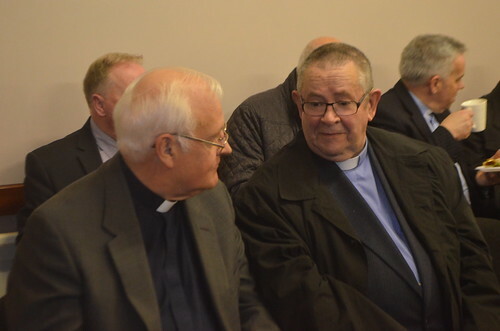 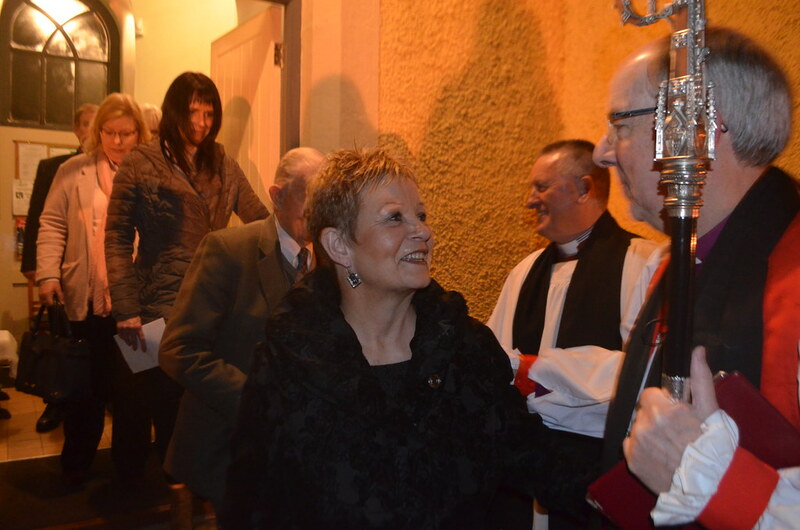 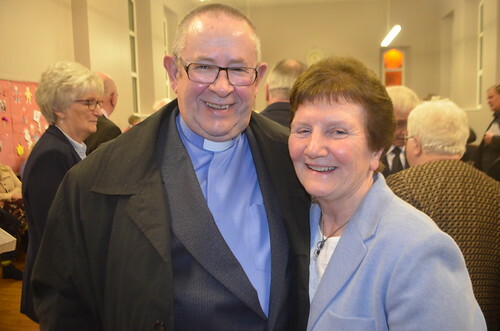 The service was a homecoming of sorts for the Preacher, Rev David McBeth, who said that some of the most significant events of his life had taken place in the Parishes of Leckpatrick and Dunnalong. 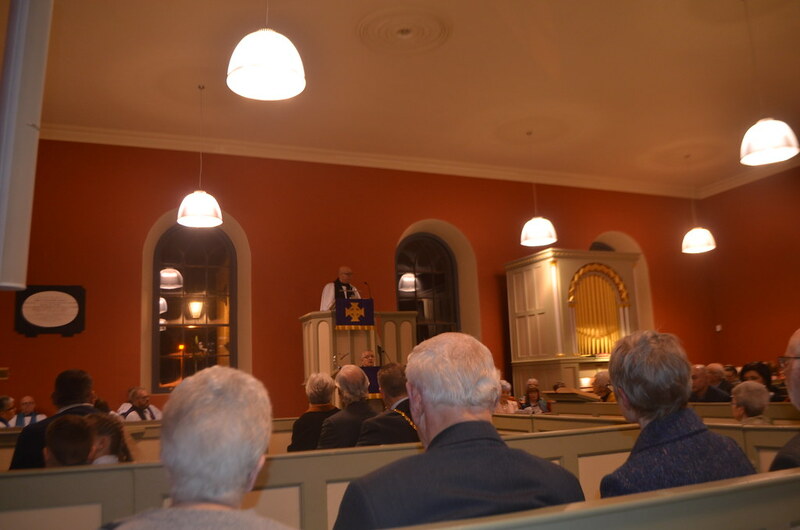 “It was in these parishes that I got married to my wife April, 33 years ago,” Rev McBeth said. “It was in these parishes that I first made a confession of faith in Jesus as Lord and saviour. 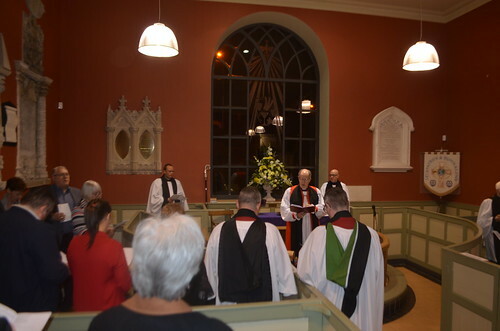 It was here that my children got baptised and confirmed. 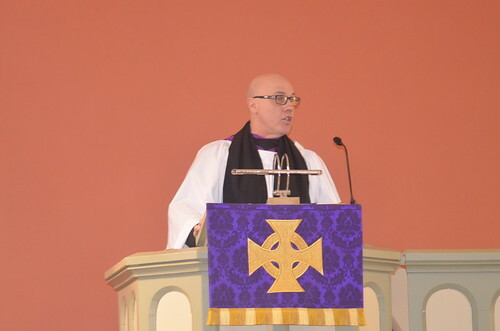 It was here that I preached my first sermon as a college student. And it is here tonight that I will preach my first ever sermon at an Institution Service. Turning to the New Testament reading during Friday evening’s service (1 Peter, 5: 1-11), the Preacher identified the responsibilities facing leaders in the Christian Church to be shepherds of God’s flock; to oversee the flock; and to set a good example to the flock, without ever lording over them. Jesus modelled servanthood and humility for Church leaders, Rev McBeth said. Knowing that the end of His life was near, Jesus tied a towel around his waist. He poured water into a basin and began to wash the feet of His disciples. 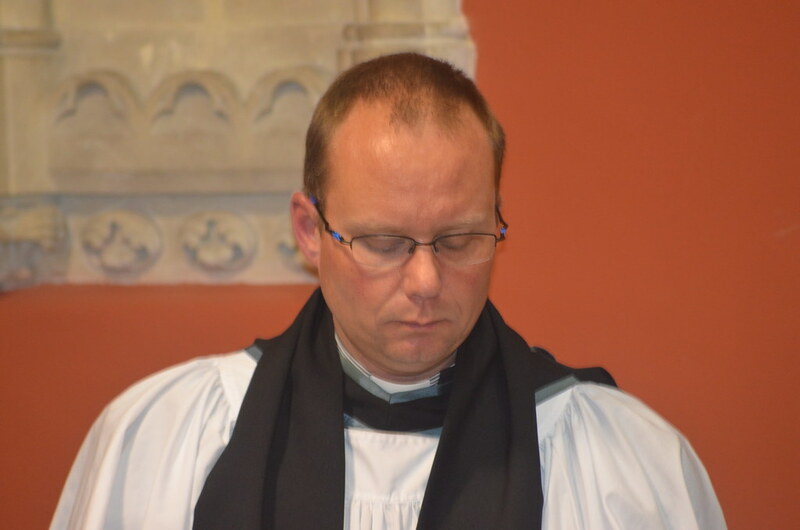 This was the job of a common slave. 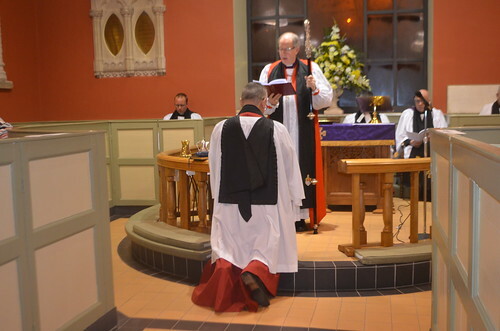 But Jesus was willing to humble Himself and serve His disciples and he gave us this command to go and do likewise. Rev McBeth’s sermon also addressed the ways in which members of the wider Church could help their leaders, through prayer, submission and servanthood. 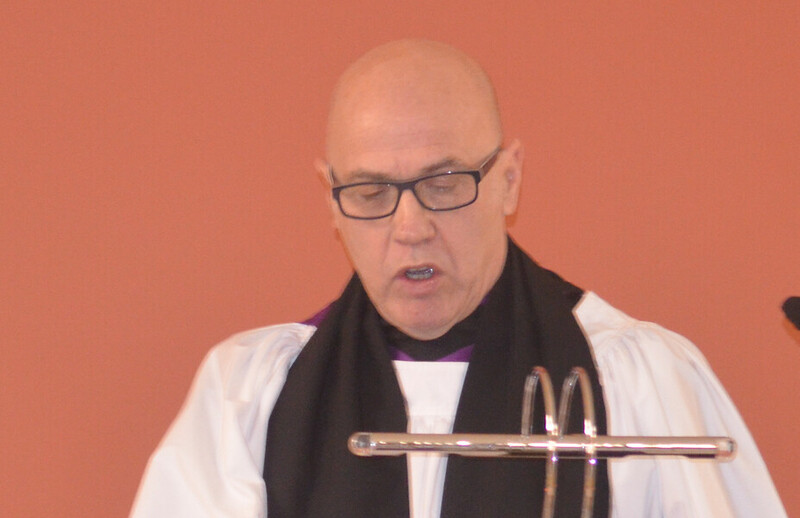 “There are many works of service in the church,” he said. 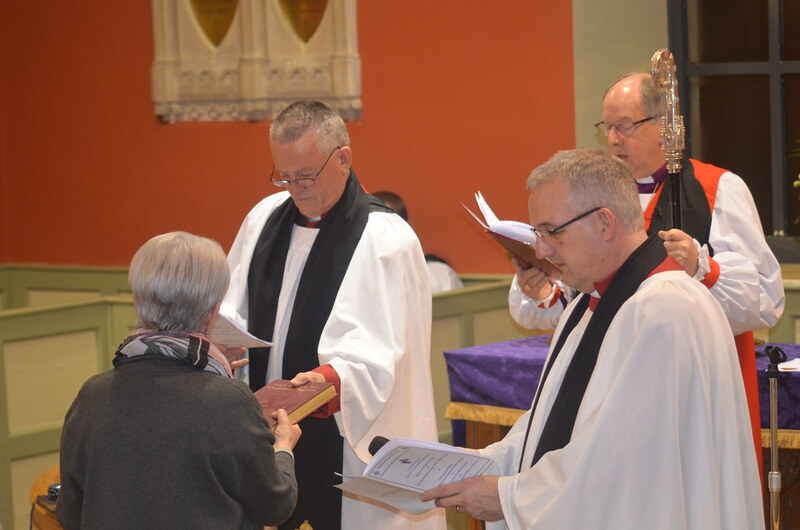 “Pastoral care to those who are bereaved, ill or housebound; outreach to the local community; youth work and young families; worship; the upkeep of church property; Bible studies; and our personal spiritual growth as individual members of Christ’s body. There are many works of service that the Lord’s people are called to do. 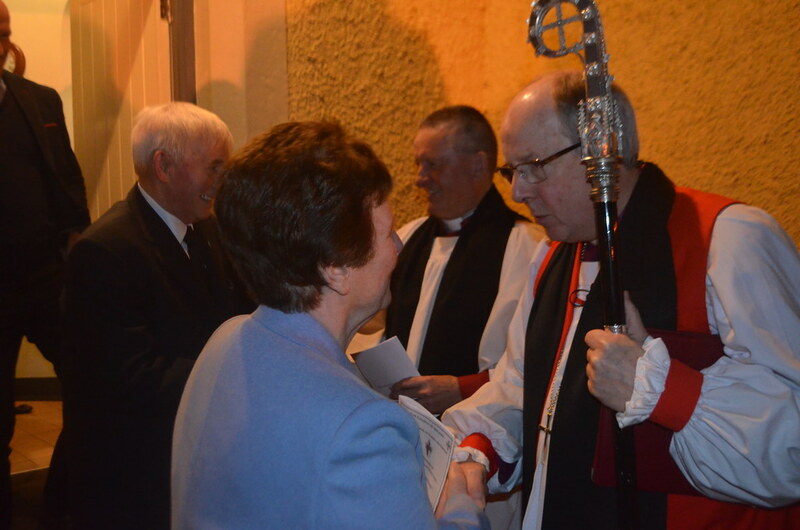 These works are not just the rector’s but everyone’s responsibility. “Every situation represents an opportunity to grow in spirituality,” Rev McBeth said, “to grow in prayer, to grow in faith, to grow in servanthood, to grow in outreach and – if God decides – to grow in numbers. The Service of Institution in Leckpatrick Parish Church was led by Bishop Good, assisted by the outgoing Rural Dean, Rev Canon Malcolm Ferry. 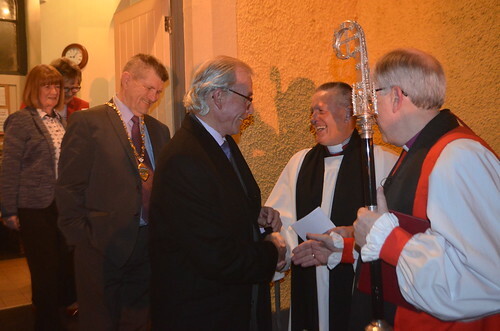 Canon Whittaker was presented for Institution by the Archdeacon of Derry, Ven Robert Miller. 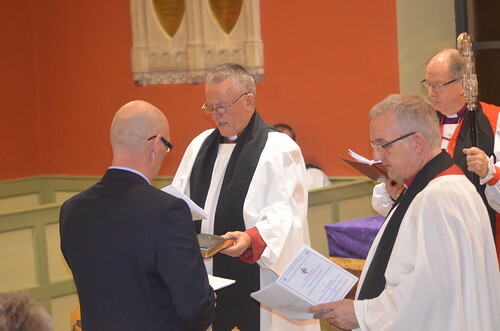 Canon Ferry deputised for the Diocesan Registrar, Rev Canon David Crooks, who was unable to attend. 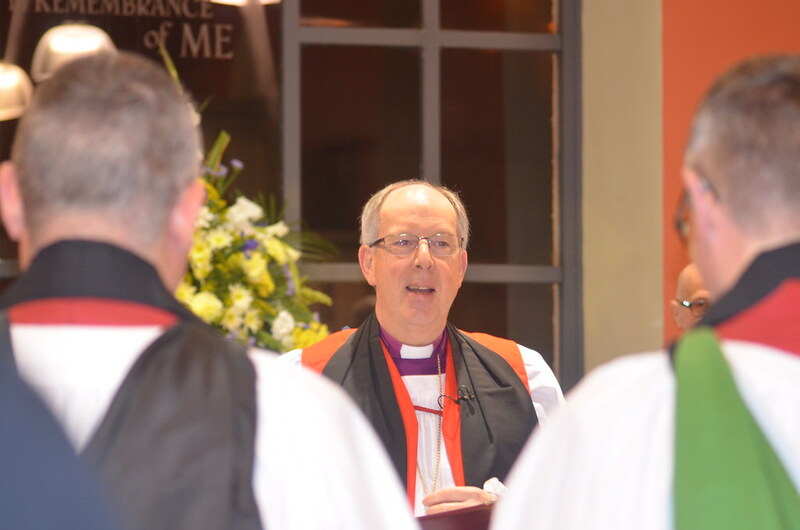 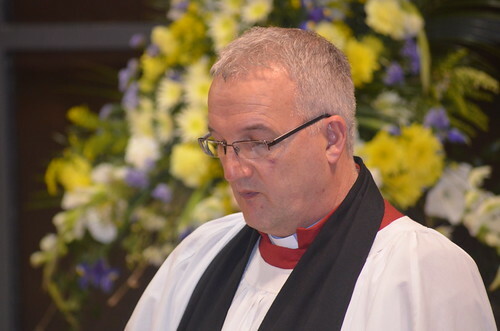 Rev Nigel Cairns acted as Bishop’s Curate for the service. 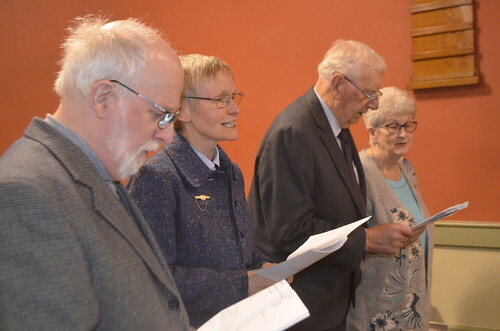 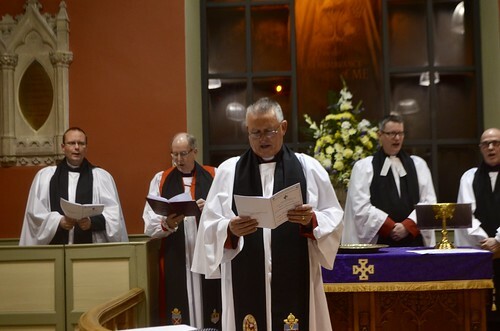 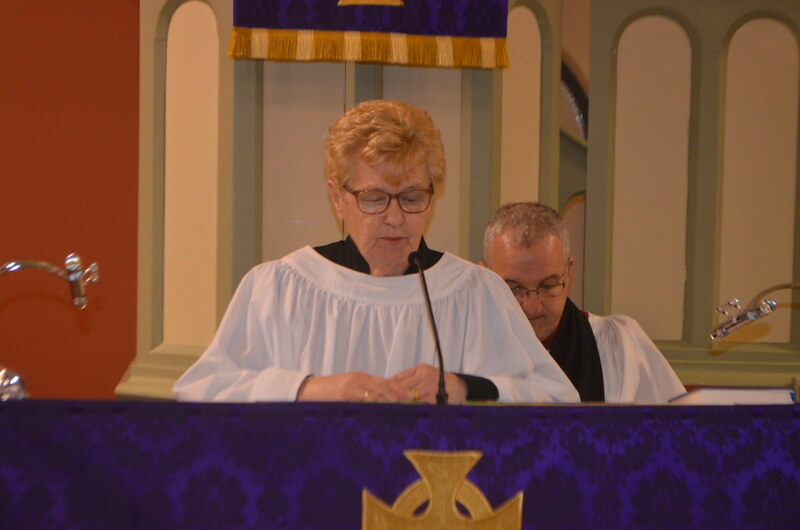 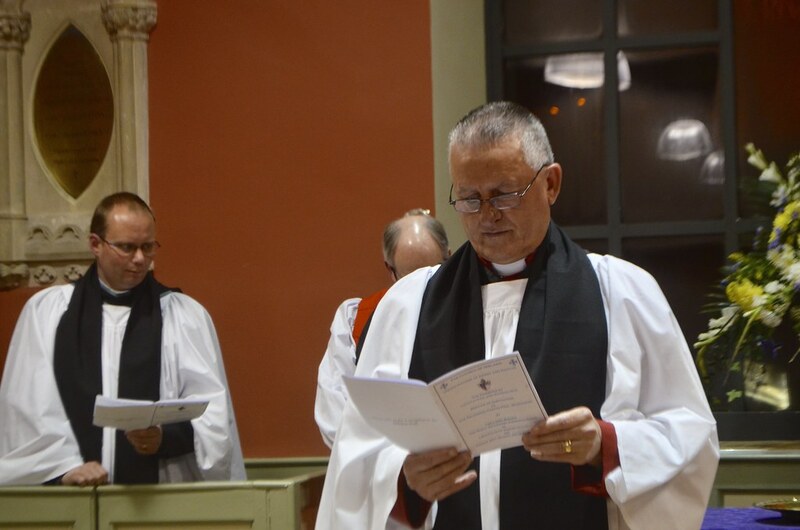 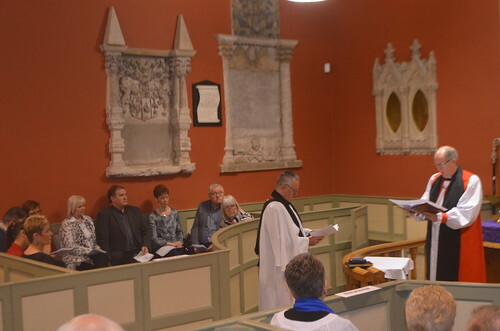 The readings were given by Diocesan Reader, Kaye Nesbitt, and Parish Reader, Vickie Forbes. 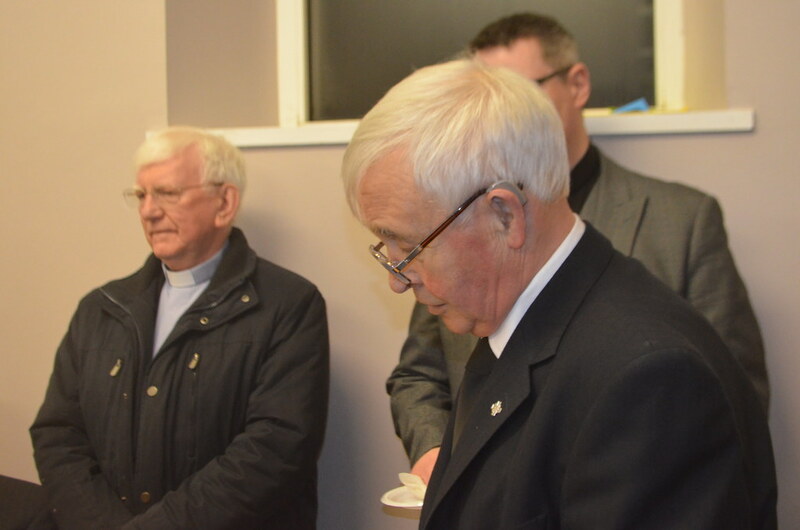 At the supper afterwards, in Milliken Hall, Canon Ferry was thanked by Bishop Good for arranging the service and for overseeing the 18-month vacancy in Leckpatrick and Dunnalong. The Bishop said Canon Ferry would be missed when he left shortly to take up ministry in the Parish of Agherton in the Diocese of Connor. 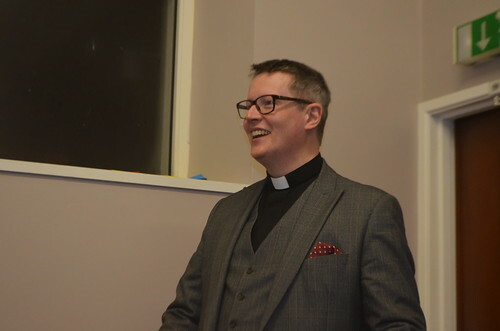 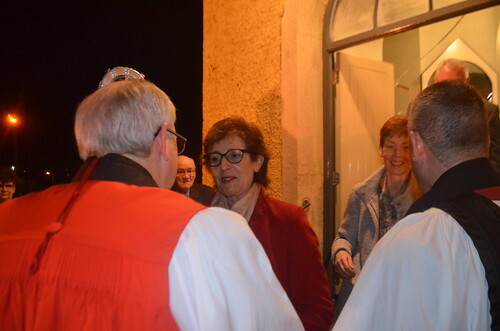 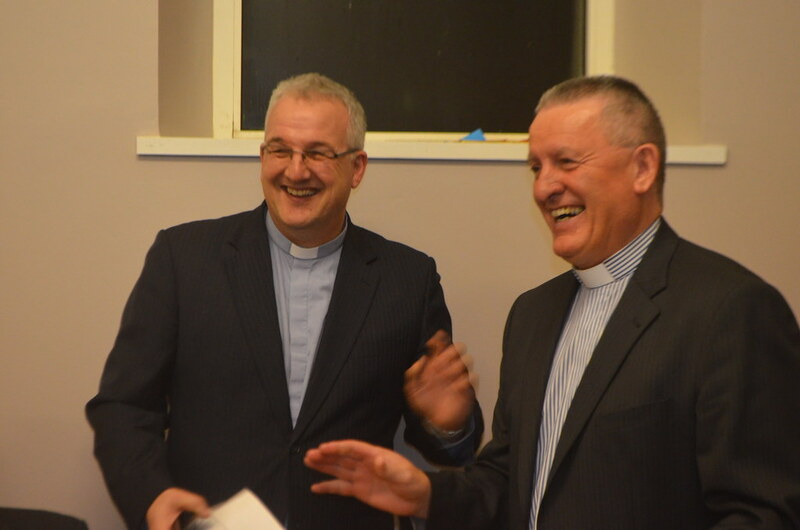 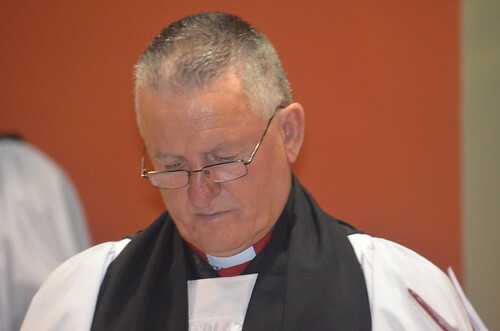 Canon Ferry pointed out that – as the new Rural Dean – Canon Whittaker would be looking after Canon Ferry’s parish, St Augustine’s, during the vacancy there. 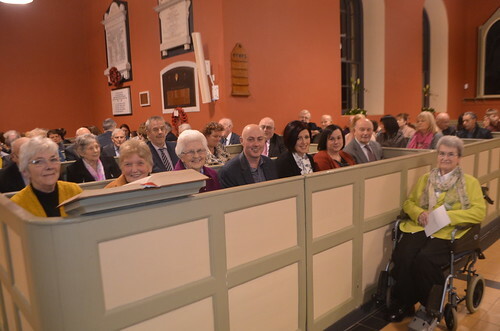 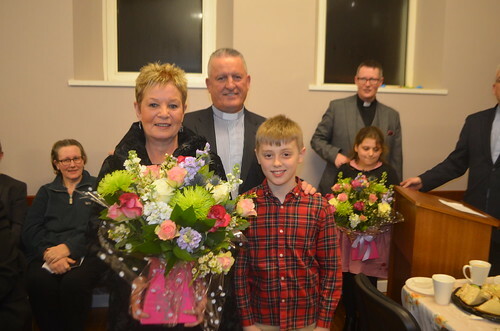 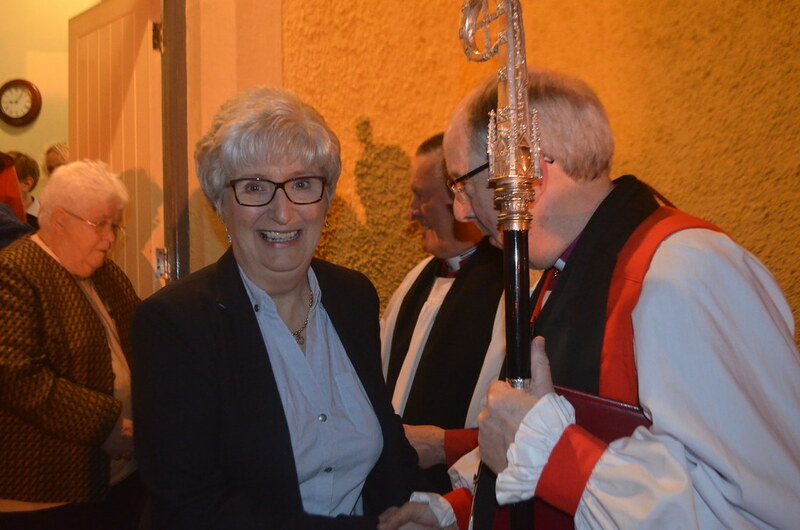 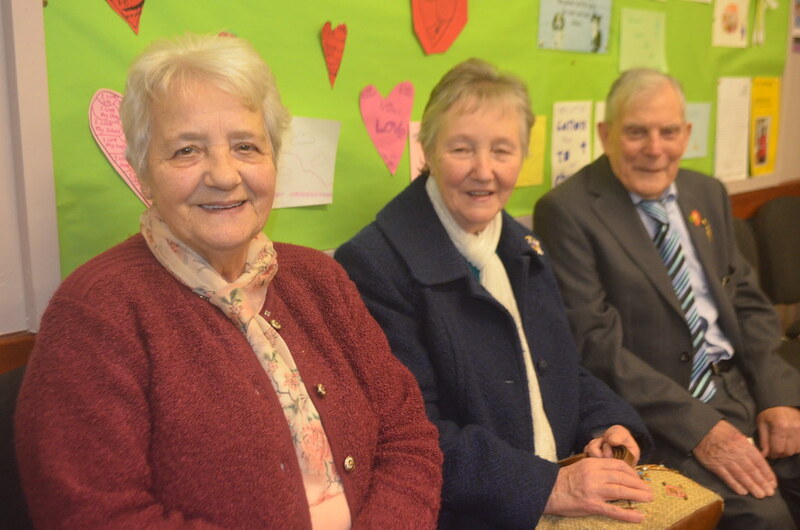 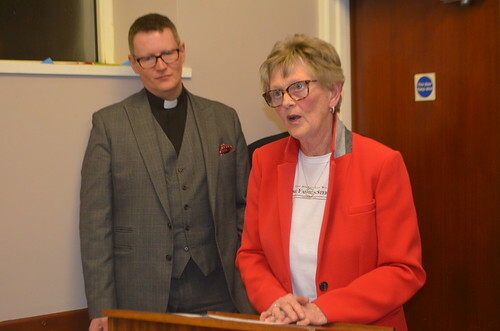 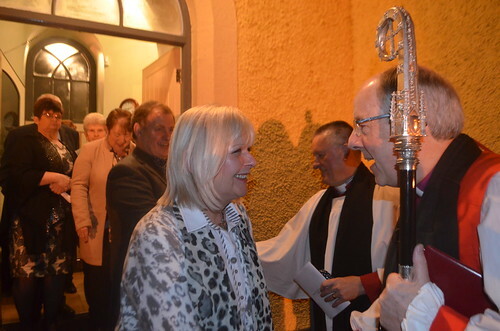 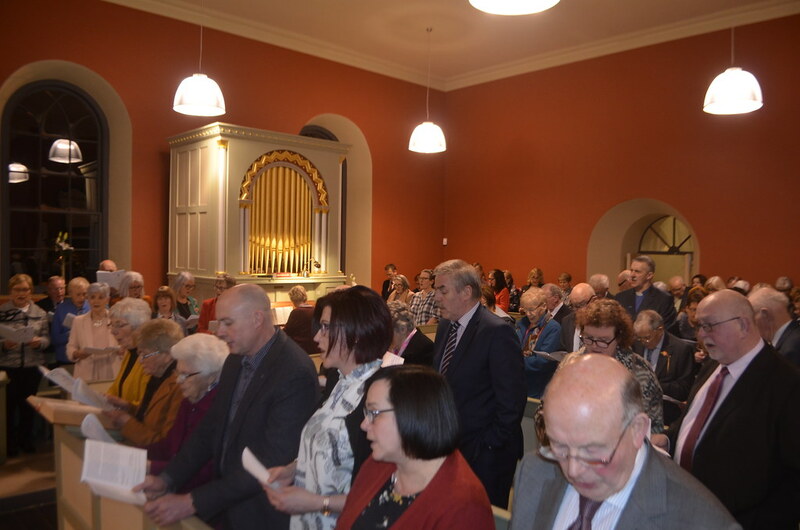 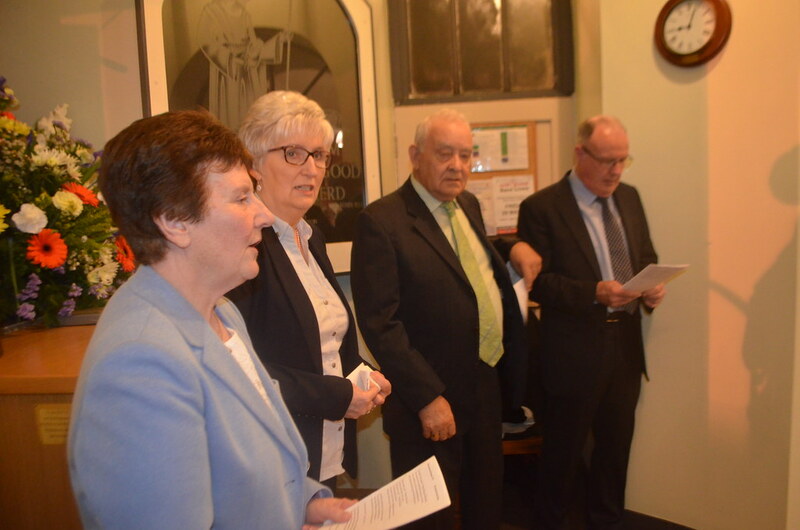 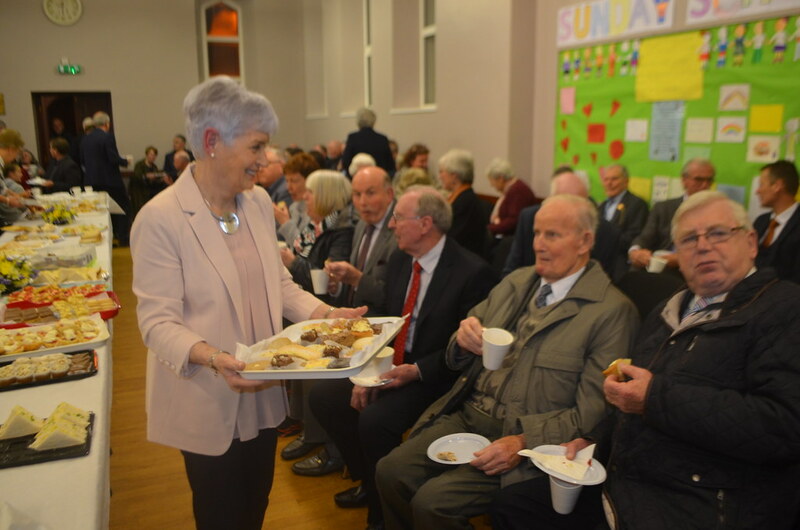 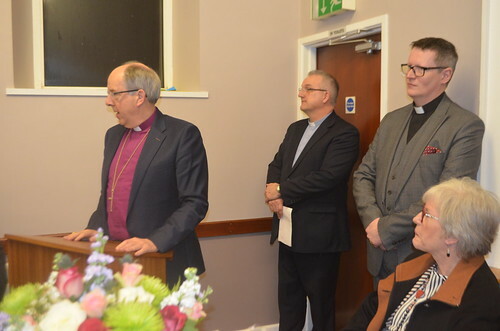 Trevor Begley thanked Canon Whittaker and Carol, on behalf of the Parishioners of Errigal and Desertoghill, for their ministry which had made the congregation of St Paul's Church "stronger and better". Derek Donnell, representing the parishioners of Leckpatrick, said they understood how the Garvagh parishioners were now feeling. 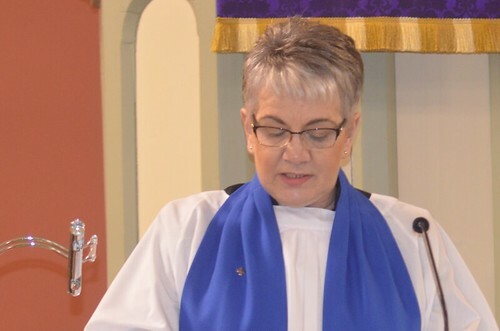 "Your loss is our gain." He said they would pray for their new Rector and give him their time and support. 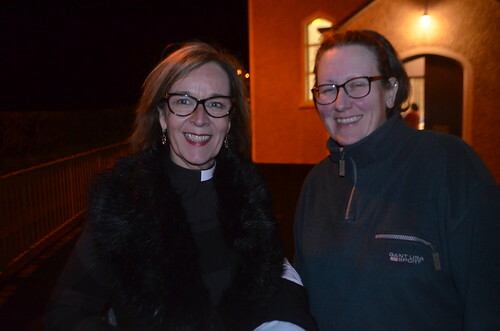 Mildred Deans - on behalf of the parishioners of Dunnalong - said they were excited to discover what the future held for them as a parish family. 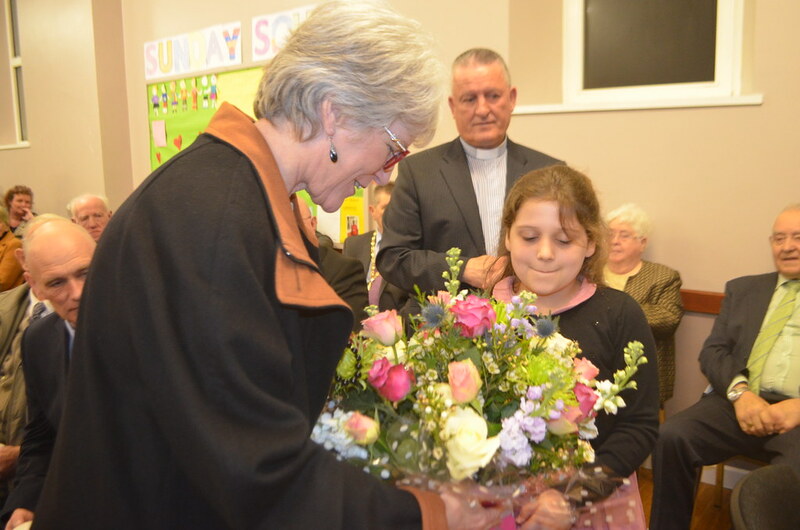 She also thanked Rev Arthur Burns and Rev Brian Hassan for their support during the vacancy.